Did you know I have a DebBee’s Designs YouTube channel? Yes! My very own, so now I can become famous! 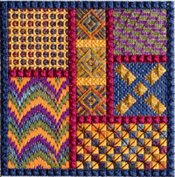 My YouTube channel features video stitch demonstrations for several stitches. I’ll be adding more to it as I have videos ready to upload. These are strictly for educational purposes, to help you with some stitches you may have trouble visualizing from a stitch diagram and words. And, I know a lot of people are doing video stitch demonstrations, but I hope you’ll find mine useful! If the link doesn’t work, just go to YouTube, and search on DebBee’s Designs. I’ll continue to add more videos as I get them ready. If there’s something you’d like to see, just let me know and I’ll see if I can get one ready for you!